2018 is the 140th Anniversary of Mayow Park and the 25th anniversary of Friends of Mayow Park. In 1993 Lewisham Council’s parks department was far-sighted to see the potential value of having park user groups; thanks to their initiative, the Mayow Park Users’ Group (MPUG) and others were set up. 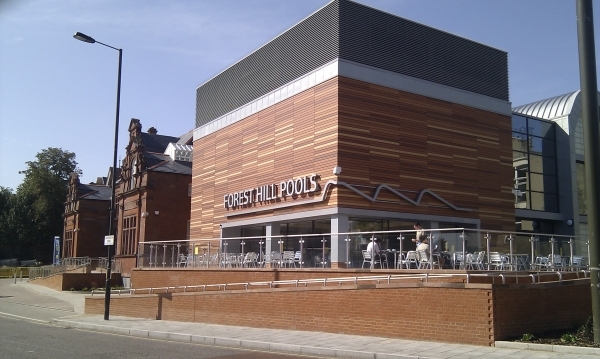 The first MPUG meeting was held on 20th April 1993 at Forest Hill Baths. Lewisham Council appointed Gordon de Langley as the liaison officer for the group. 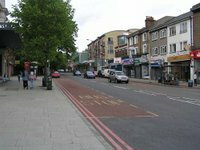 It was a time when parks all over the country were in decline, and Lewisham Council encouraged local people to form park users’ groups as a positive effort to try to reverse the decline into the longer-term future. Around 1998, along with many other park user groups around the country, the name of the group was changed to Friends of Mayow Park (FOMP). 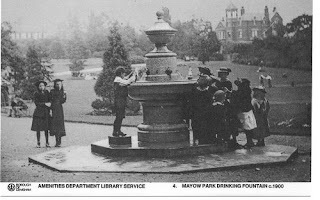 Back in the early days of MPUG the park still had an aviary, a full-time park keeper and gardeners who maintained its well-kept flower beds. The aviary was removed in the late 1990s, and FOMP are seeking photos of it for their archives. Budget cuts over the years have resulted in our current part-time park keeper being shared with another park. Even in the early days of the Friends, the main topics of concern were about litter, dog fouling and the state of the paths. After years of patient waiting, funds became available and, in June 2016, major works were carried out to resurface the worst paths. Since 1999, FOMP have celebrated Tree Dressing (an ancient pagan custom) on the first weekend of December. Originally, an ancient oak in Mayow Park with a long horizontal branch was decorated annually, but in recent years the community orchard has been the preferred venue. The first trees in the community orchard were planted in March 2012 by a large team of volunteers and more were planted in 2016, bringing the total to 18 trees. FOMP now hold an annual Apple Day in mid-October to celebrate the orchard — giving park users an opportunity to taste different varieties of apples and to get to know all the fruit trees, and to enjoy story-telling and other family activities. The Friends also organise tree walks, bat walks, and volunteer workdays in the orchard and at our herb beds. What a Busy Year It’s Been!